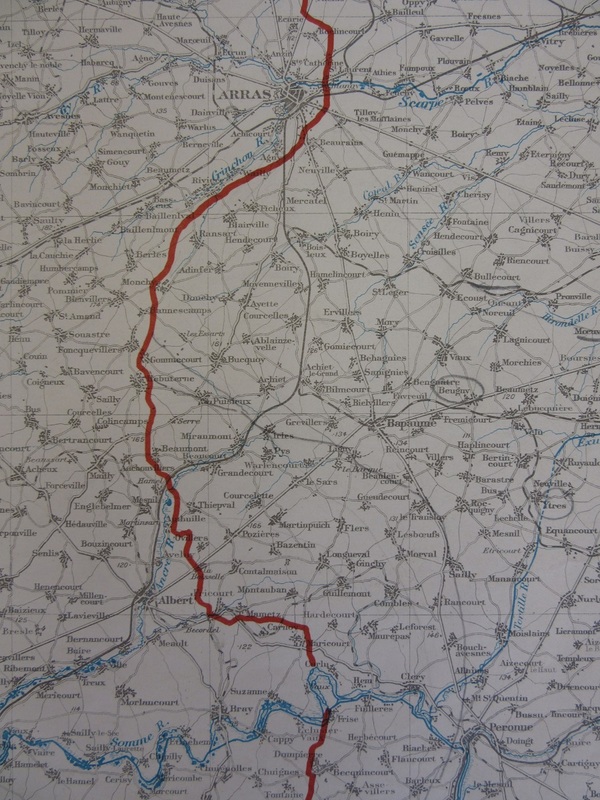 In preparation for showing maps here of the Battle of the Somme on the 1st of July 1916, we post a map from the Bodleian’s extensive trench map collection showing the front-line on the Western Front on the 27th of June 1916, 100 years ago today. In a conference between the British and French in December 1915 it was decided to launch joint attacks by French, British and Russian forces against the Central Powers at some stage in 1916. With the attack by German forces on the French forts at Verdun in February 1916 pressure was put on the British to relieve the embattled French troops, and General Sir Douglas Haig, Commander of the British Army in France, reluctantly agreed on a launch date of July the 1st, aware that the majority of his troops were under-prepared and most hadn’t seen action yet. 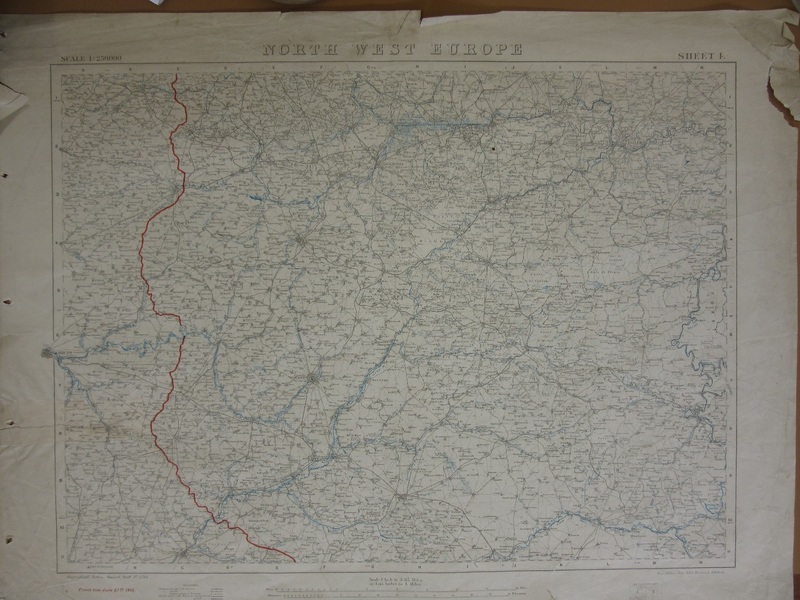 This map, sheet 4 of North West Europe, is published by the cartographic department at the War Office, the Geographical Section, General Staff, and is a revised reprint of a 1915 map. The scale is 1:250,000, detailed enough to show villages, towns and rivers but not enough to show the details needed for artillery and infantry operations. More detailed mapping at 1:10,000, 1:20,000 and 1:40,000 were produced in their thousands up to the end of the war. This extract from the map shows the main area of British attacks on the 1st of July, and includes names that were soon to become famous for the fighting that was soon to take place over the often battered and ruined remains of villages and farms; Beaumnot Hamel, Mametz, Thiepval and Longueval amongst so many others. We will feature maps over the next couple of months that show the progress made by British forces over this area. North West Europe, sheet 4. Geographical Section, General Staff No. 2733. War Office 1915, revised 1916. C1 (3) . This entry was posted in History, Military on 27 June 2016 by stuart. 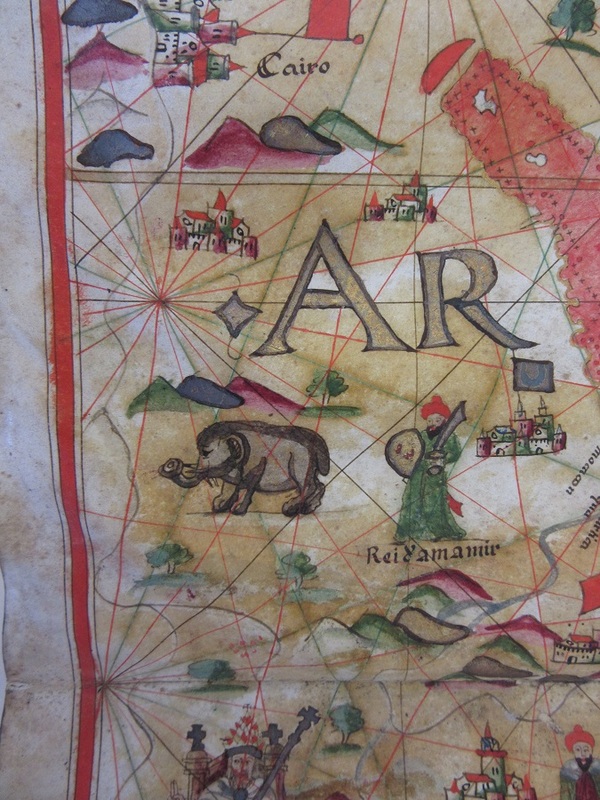 An atlas from the Douce collection is in the map office at the moment, for a show and tell. A non-descript conservation grey box protects a beautiful manuscript portolan atlas inside. Dating from approximately the second half of the sixteenth century this is a set of 8 maps covering the Eastern oceans on vellum. Portolan charts date from the mid to late thirteenth century and continued in use until printed navigation charts, including those published in great numbers by the Hydrographer to the Navy and held by the in the map collection at the Bodleian, replaced them. Often stitched onto cloth and rolled up these charts were used by navigators at sea. Rhumb lines radiate out from compass points allowing for readings to be taken and courses plotted. 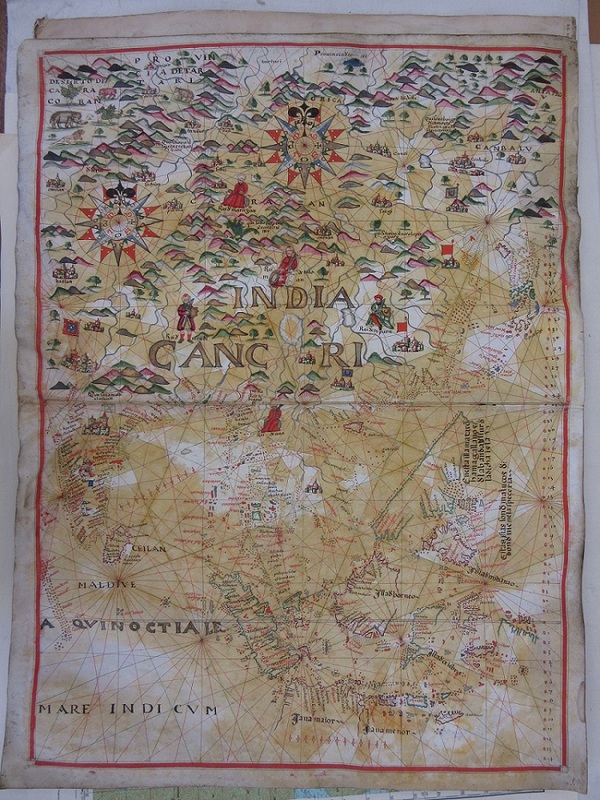 This atlas is but one of the 19,000 items donated to the Library by the antiquary Francis Douce. MS Douce 391. Circa 2nd half 16th century. This entry was posted in Cartography on 22 June 2016 by stuart.